A delicious mix of family favorites: season’s finest fruit for snacks, salads and desserts. 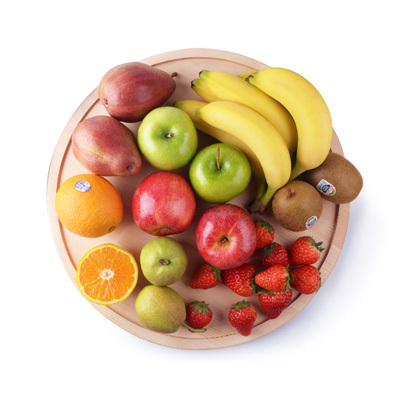 This box includes a vast variety of fruit, and it includes such staples as bananas, apples, oranges, kiwis on most weeks. They are packed fresh and delivered the same day. Start cutting, juicing and making smoothies now, it’s sweet summer in a box!